A small and versatile motor and driver set. 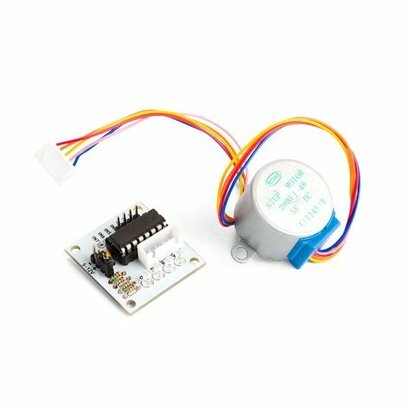 This 5 VDC stepper motor controlled by the ULN2003 driver can be used with any Arduino® or compatible boards via jumper leads. Four-phase LED indicates the status of the stepper motor.